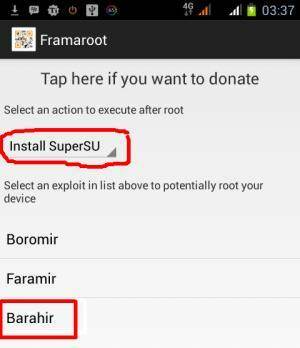 Framaroot Apk is a quick rooting app, which can be used on any Android device. The process of rooting an Android device is simple and straightforward with this app. That’s because a user would just need to use this app to root the Android device. Using the framaroot is fairly easy. All you need to do is to download the Framaroot for Root and and install it on your devices, launch the application and follow onscreen instructions in order to get rooting done. Framaroot is currently compatible only with Android devices, which have the operating system version, Android 2.2 up to 4.2.2 Jellybean. However, Framaroot has the ability to help people root the latest Android devices with minimum hassle. After downloading, the user can go to Application Settings of the Android device and allow applications to be installed from unknown sources. Until that, the device won’t allow the APK file to install. When permissions are granted for the device, APK file can be opened to begin the installation. The process of Framaroot APK installation is similar to the process that needs to be followed when installing any other Android app. When all installation steps are completed, Framaroot will be installed successfully on the device. Then the user can open the app icon to get to the main interface. 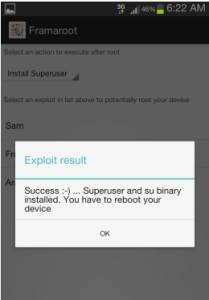 After rooting the Android device with Framaroot, any pre-installed application in the device can be removed. Most of the Android smartphone users have apps that they don’t use inside the Android devices. Those apps eat up the available storage space. Unfortunately, Android doesn’t provide the ability to remove those apps from the device. With Framaroot, that difficulty can be eliminated. All credit for Framaroot tool go to alephzain at XDA developers. In case you want to thank him, get the donate version of the application or want to get live developer help, then head to the official XDA thread for Framaroot posted here and get what you want.